The international energy agency anticipates that the COP21 commitments for Green House Gaz emissions reductions will require increasing the share of renewables in electric energy mix from 10% in 2014 to 37% in 2030, in order to decarbonize electricity generation and fully electrify transportation. This massive ingestion of variable and distributed generation in an ageing electricity grid will significantly transform current planning and operation paradigms, challenges that cannot be effectively addressed without the emergence of an integrated, adaptive and sustainable network. After revisiting the main grid modernization concepts, the speaker will scope the challenges facing utilities in the new context of energy and digital transitions towards a decarbonized industry 4.0. Then he will outline some sample innovations developed at IREQ to support Hydro-Quebec in digesting new energy technologies, that raise many challenges while enabling tremendous opportunities: 1) Massive integration of distributed energy resources, 2) Adoption of power electronic equipment allowing greater grid controllability, 4) Deployment of smart monitors and synchrophasors allowing enhanced network observability while exposing to greater cybersecurity risk and 5) Regionally coordinated deep decarbonization through enormous renewable power fluctuations over long distances and hundreds of daily transactions year-round. The presentation will conclude by discussing current IREQ’s developments that leverage our simulation capabilities into new products and applications such as cyberphysical analysis of electric and telecom grids interactions, massively parallel simulation of continental scale power grids and power-hardware in the loop simulation of distributed energy resources. Innocent Kamwa obtained his B.S. and Ph.D. degrees in Electrical Engineering from Laval University, Québec City in 1985 and 1989 respectively. He has been a research scientist and registered professional engineer at Hydro-Quebec Research Institute since 1988, specializing in system dynamics, power grid control and electric machines. After leading the R&D program on System Automation and Control for years, he became Chief scientist for smart grid, Head of Power System and Mathematics, and Acting Scientific Director of IREQ in 2016. He currently heads Power Systems Simulation and Evolution, overseeing the Hydro-Quebec Network Simulation Centre known worldwide. 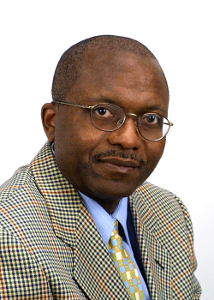 An Adjunct professor at Laval University and McGill University, Dr. Kamwa’s Honors include four IEEE Power Engineering best paper prize awards, three IEEE Power Engineering outstanding working group awards, a 2013 IEEE Power Engineering Society Distinguished Service Award, Fellow of IEEE in 2005 for “innovations in power grid control” and Fellow of the Canadian Academy of Engineering. ← Innocent Kamwa, P.Eng., Ph.D.